Our Zombie Apocalypse shirts have proven to be wildly popular! Thanks to everyone that ordered one. We never imagined that the shirts would do so well and it’s all helping us inch our way a little closer to New Zealand. I’m branching out to different shirts that will have a pro-bike message. Since we have a large contingency of readers who are bike advocates, I’ll be working on shirts that are a little transportation wonky (talk about a niche market!). So if you’re looking for some fun pro-bike shirts for yourself or for friends for the holidays, visit our Carody shirt section and the links below. The shirt sales keep us on the road and keep the site running! After reading about Senator Boxer’s cuts to funding in a Federal highway bill and the inclusion of a clause that would create a mandatory sidepath law along Federal roads, I came up with this VOTE BIKES design. 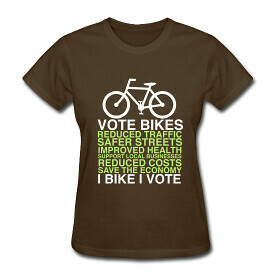 We’re at a time where we need to remind our elected officials that we bike AND we VOTE. As we have been touring we have been taking a closer look at how bicycling can help local economies. With the limited range of bikes (not always a bad thing), people are more likely to support local businesses. With this idea in mind, I came up with the Bike Local. Buy Local design. We love trains -Amtrak, light rail, HSR, etc., Perhaps not surprisingly, there aren’t a lot of shirts for transit aficionados. 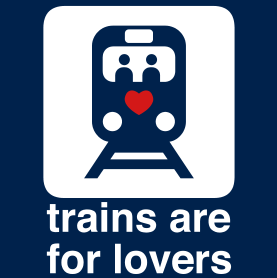 So I decided to reappropriate the popular X is for lovers slogan for rail with Trains are for Lovers. And of course a few designs that poke fun at Zipcar and Smart cars : ) Visit our Carody shirt store! Hope you enjoy the shirts and thanks again for supporting our travels. If you want a color combination that isn’t offered or have an idea for a shirt design, feel free to email us. 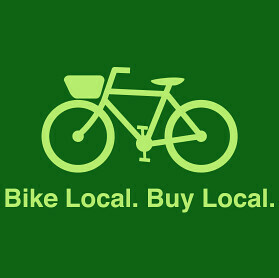 The quasi-paradox… if I buy a “bike local. buy local” shirt from you, I won’t be buying local. What to do? Matt, we understand the inherent paradoxical nature of the shirt and it has long bothered us. You are more than welcome to not buy it on principal or to purchase a shirt locally that has a similar message. We feel the message is important, especially as people bike around in day to day life. 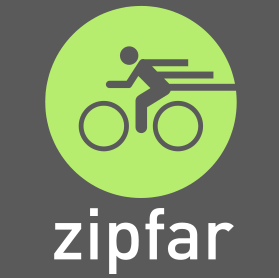 They are ambassadors for bicycling and its good for businesses and community members to know that some of their customers have arrived by bike. We don’t hold it against anyone that won’t buy the shirt, but we also feel that strongly that it is a message that should be spread. My zombie apocalypse shirt arrived today. It’s gorgeous and I’m so excited to show it off this weekend, thank you!! Man, I love that “Trains are for Lovers” t-shirt!